If you have ever played a console game for a long period of time, you know how important it is to use a comfortable controller. Spend enough time with a decent controller and eventually, it’ll feel like a third arm. That feeling is lost, however, when you’re forced to use something different. Whatever the circumstance, having to switch to a new peripheral is never a fun experience. The fine folks at Digital Depth Inc. have felt that pain much too often, and that’s why they are developing one controller that will work across every single device, from console to PC. 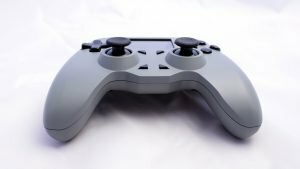 The ALL Controller is their solution to this problem, and their aim is to make sure you never need a different controller ever again. We had some of the guys from Digital Depth Inc. come by the CGM office to let us get a real feel for their device. They showed us the working prototypes and told us all about their ALL Controller and what they hope to accomplish with it. 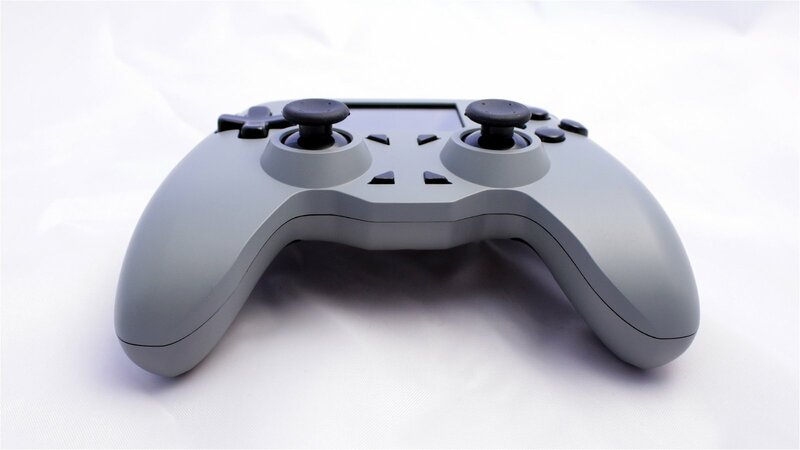 The ALL Controller promises to be the world’s first universal and fully customizable controller. 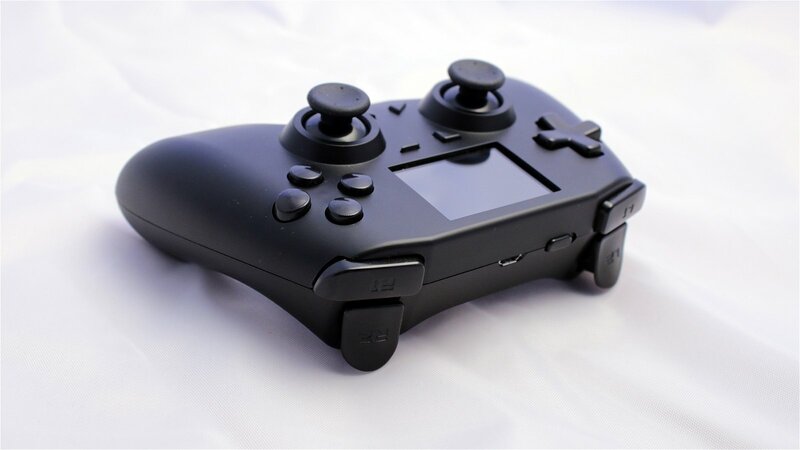 It features the two control sticks, face buttons, d-pad, shoulder buttons, and triggers of a standard controller. What it also features are a screen built into the face and two customizable paddles on the back. 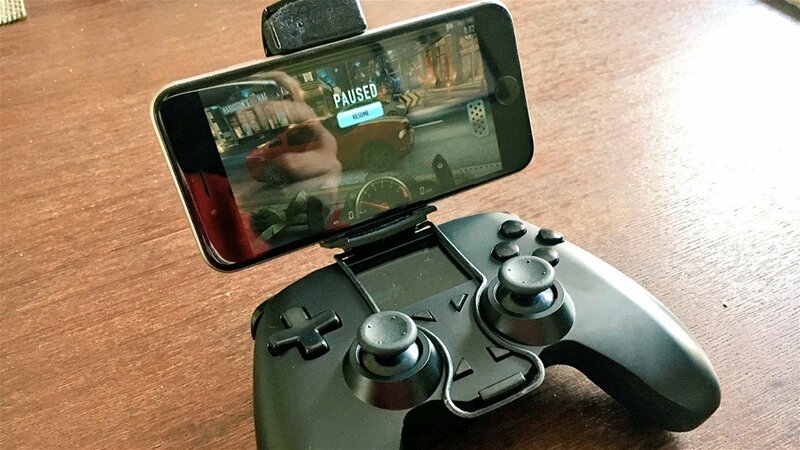 This will provide a user with all of the buttons they need to play their favourite games. Alongside all the buttons, the ALL Controller really wants you to feel comfortable. 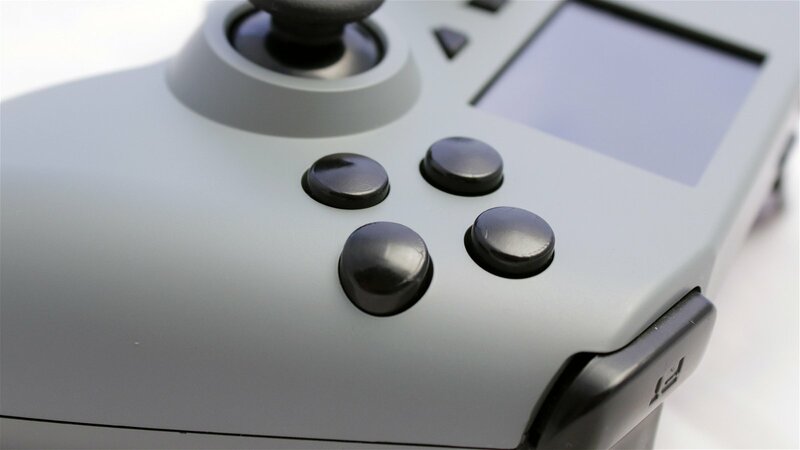 Through the built-in software on the controller, users will have the ability to remap each and every button. This means that if you find one layout that works the best for you, you will be able to replicate and reuse that layout on every device. 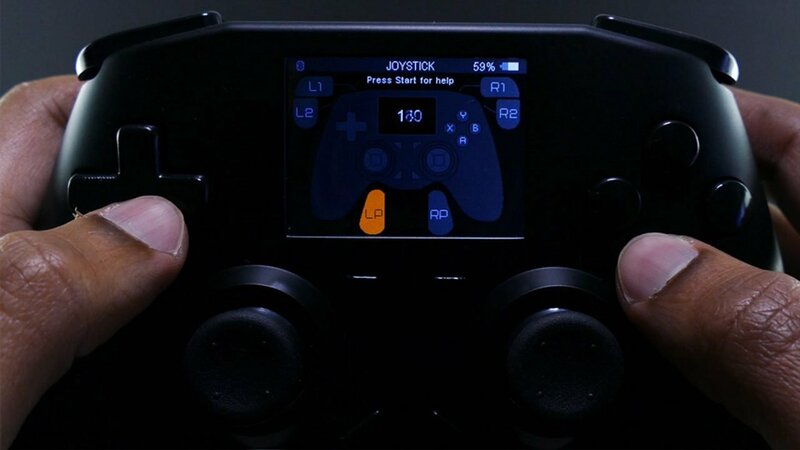 The ALL Controller promises to let you remap the buttons across every popular device including PC, the Sony PlayStation 4, Microsoft’s Xbox One, and even the Nintendo Switch. Along with all the popular consoles on the market, the ALL Controller promises to pair with your PC as well. Any and all PC games that recognize controller input natively will be able to recognize the ALL Controller right away. Even games that don’t have controller support and use keyboard and mouse inputs such as Master X Master and Secret World Legends can be played with the ALL Controller as the device also emulates the inputs of keyboard and mouse—should the need arise. ALL Controller (via Digital Depths Inc.) Images by CGMagazine and Digital Depths Inc.
One unique feature that I really enjoyed seeing with the ALL Controller was that the paddle buttons on the back not only copied input combinations, but also the speed at which you do them. This means that unlike traditional macros that just put all the inputs in as fast as possible, the ALL Controller will mimic a human much better as it takes timing into consideration. A great use of this can be found in fighting games. Say you pull off an input for a move that is pretty complex. 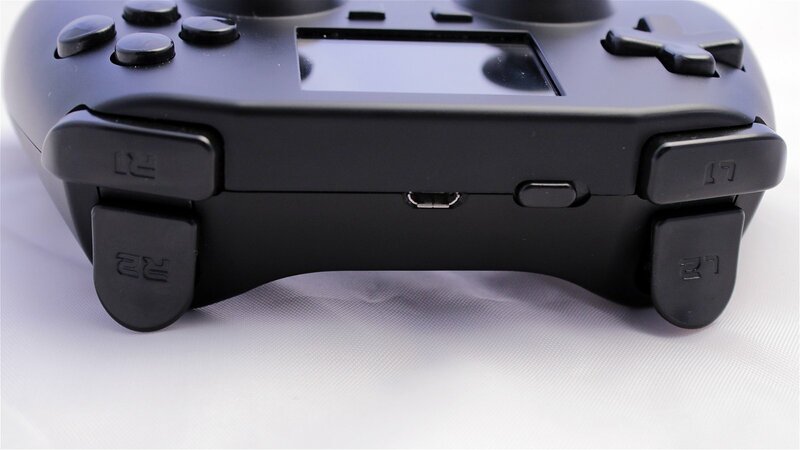 With the ALL Controller, you are able to record that input, assign it to one of the paddles, and play it back whenever you want to execute that move. The ALL Controller’s layouts and macros can all be customized in real-time and used right away without the need to reboot the controller. The only time you would need to reboot the controller would be when swapping the driver that the controller is using. If you want to just remap some buttons, you can do that right away, but if you want to switch from playing on PlayStation 4 to the Switch, you will have to reboot the controller. However, rebooting is fast and easy and will be done by the time you switch inputs on your monitor or television. ALL Controller (via Digital Depths Inc.) Images courtesy of Digital Depths Inc. The ALL Controller promises an interesting scenario. If Digital Depth Inc. can manage to make the device work the way they promise, there might never be a need for another controller. 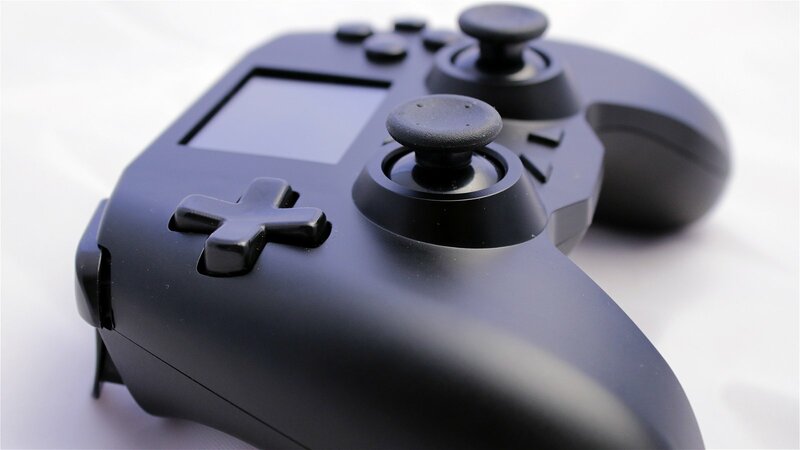 The features that the ALL Controller provides are amazing. 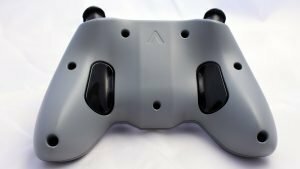 If you want to support the ALL Controller there is a Kickstarter currently going on that you can find, here.